Making my smoothies and butters has never been easier. I upgraded from a cheap food processor and 450-watt 16 speed blender to the 1500 Watt, 2.5 Horsepower Ultima Blender and it really does get the job done. 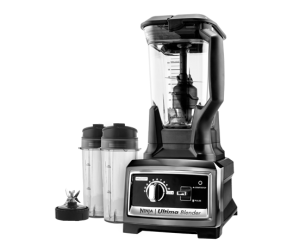 While you can certainly use a standard blender, I wanted something more powerful in order to replace some of the many appliances I use in the kitchen.